The South Huron Hospital Foundation is extremely pleased to welcome the Rasenberg Family as a PLATINUM SPONSOR for Gala 2015. “This wonderfully generous gift of $10,000 clearly tells the community how vital our local hospital is and how imperative it is to support the little hospital that does”, says Kimberley Payne, Executive Director of the Foundation. Gala 2015 will be held at the South Huron Recreation Centre on Friday June 12 with Peter Mansbridge, chief correspondent for CBC News and anchor of CBC’s The National, providing the evening’s entertainment. “The Rasenberg Family is very pleased to be able to offer our assistance and support to our local hospital” said SueAnn Rasenberg. 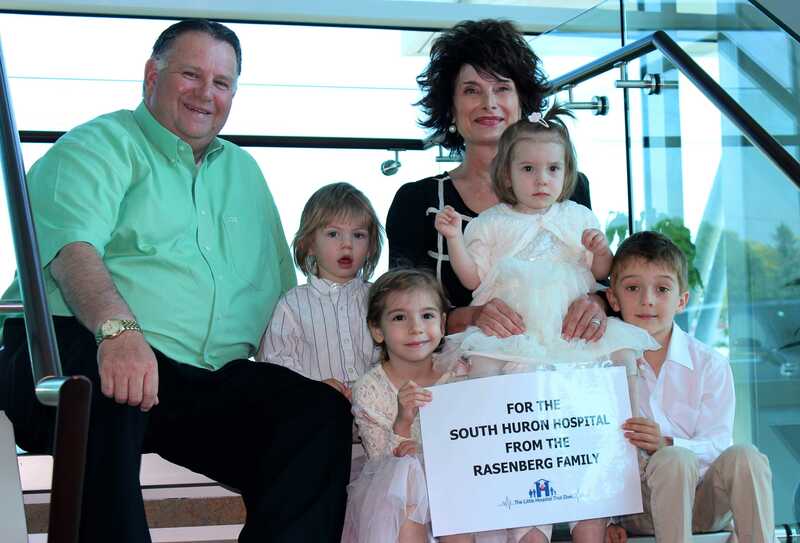 “The generosity and commitment demonstrated by the Rasenberg Family to the South Huron community is exceptional”, says Hospital Foundation Board Chair Pat O’Rourke. Previous PostGALA 2015 is SOLD OUT! !